Aside from Exo's music videos Kai become the oppa from To the beautiful You, Choco Bank and Seven Kisses from the first time. 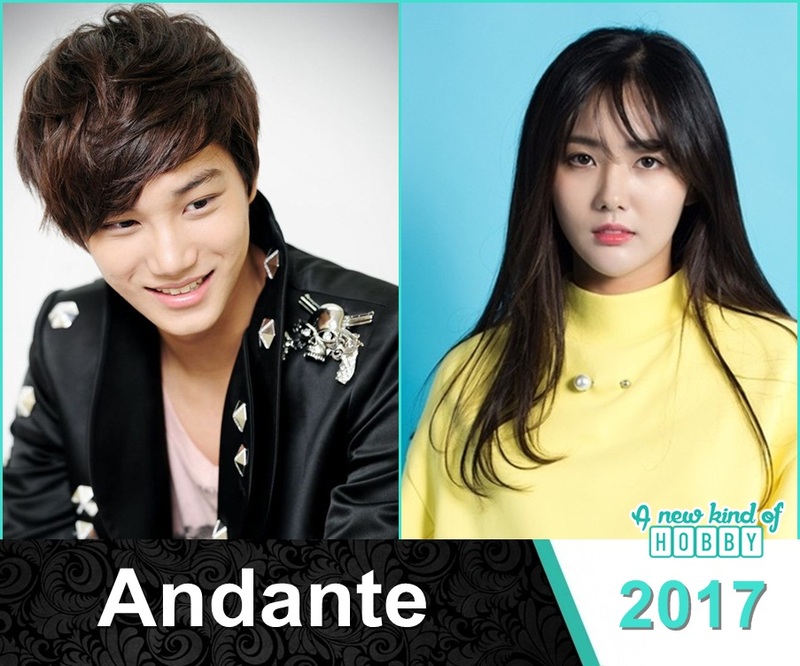 We never thought we will gonna watch him in another romantic role in upcoming latest korean drama "Andante" of 16 episodes on KBS2. Its a romantic love story of Lee Shi Kyung and Lee Shi Young. A young high schooler Lee Shi Kyung moves to the country side and end up transfers to a mysterious high school. The atmosphere and surrounding were unfamiliar so he had many real life experiences and come to realize the meaning of love and life. There he met Lee Shi Young a 16 year old female high schooler who has a dream to appear on the big screen. She was getting ready to start in a tv series opposite the popular idol. The plot sounds interesting for a school romance drama. We are excited to watch Kai in the high schooler role.